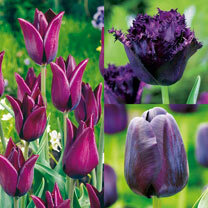 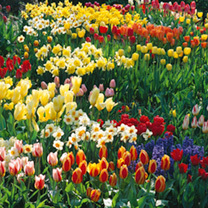 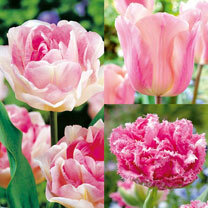 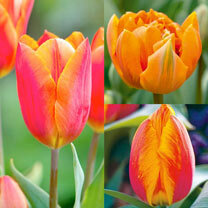 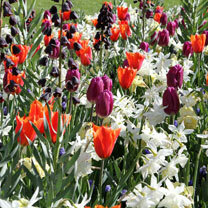 Our bulb mixes make it easy to create a striking display that stands out. 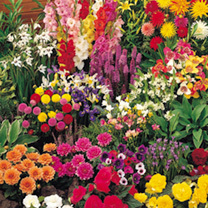 This selection of our favourite mixes combines different coloured bulbs that will bloom over a long period, so you can look forward to a beautiful carpet of colour that mixes things up. 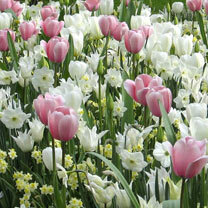 Bulb mixes are perfect for those of you who fancy something different, so we’ve picked out colours that complement each other to create an inspiring display that looks effortless. 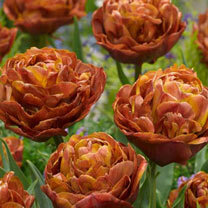 If you’re dreaming of fiery oranges and yellows, it’s got to be Fireworks Mix. 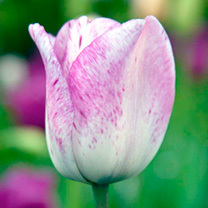 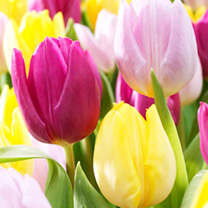 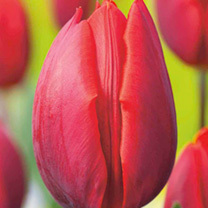 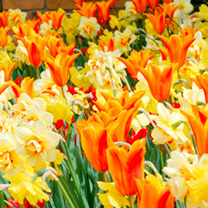 Perfect for a blaze of spring colour to wake up your outside space, this bulb mix includes Narcissus Tahiti and Carlton with Tulip Ballerina. 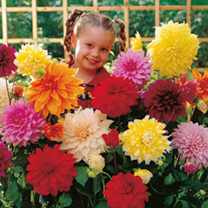 Add a dreamy touch to your garden with Sweet Dreams Mix. 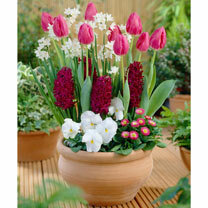 This mix is great for containers or adding a romantic touch to your beds. 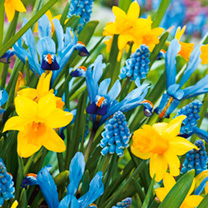 Spring Symphony Mix is all about fresh yellows and blues, and together they create an energetic display of spring colours. 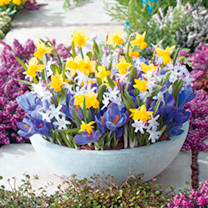 This mix includes narcissus tete-a-tete, muscari armenicum and iris reticulata blue. 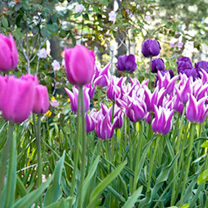 Or, for those sultry reds and mysterious purples, the Fresh Spring Mix creates a swathe of pretty colours in your spring beds. 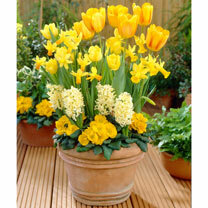 The Pots of Colour Mix has been specially created to add combinations of colour to your pots and containers. 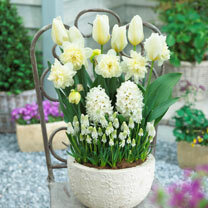 This clever little mix includes miniature bulbs that look fantastic in pots. 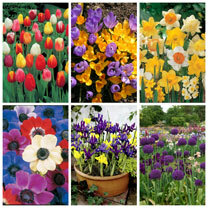 So whether you’re dreaming of beds or borders that turn heads, it’s time to pick your perfect bulb mix.